Capricorn, also known as the sea-goat, is the 10th sign of the zodiac. This sign governs the people born between the 22nd of December and the 19th of January. 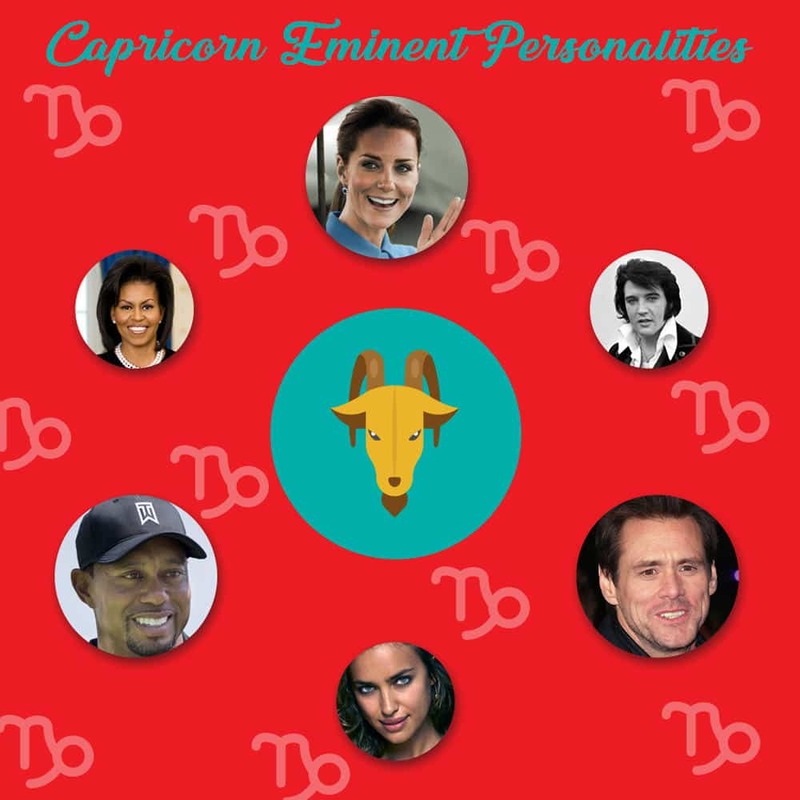 You may be interested to know the Capricorn eminent personalities, that is famous people born in this period, if so read on to find out more. Also detailed are the personality traits of this Zodiac. 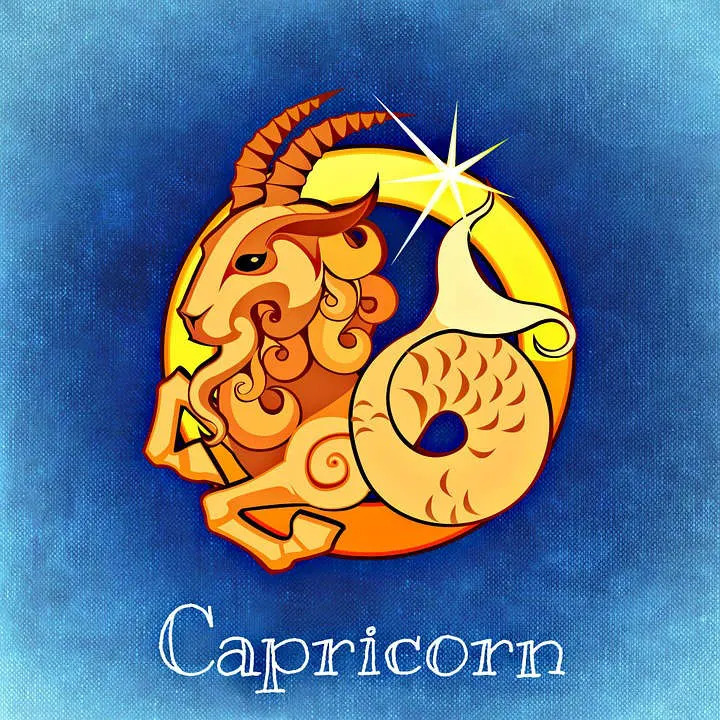 Now, if you are looking for the Capricorn personality traits, the one that will stick to your memory is that they are always in the game on mode. A Capricorn will often appear to be strict or too uptight. However, you should note that it is just their default mode. Getting truly serious is the name of their game and they can do it like nobody’s business. So, if you have known someone for years and this person seems to always be the achiever, even over-achiever, do not be surprised to find out that he or she is a Capricorn. It is their nature, a glaring Capricorn personality trait. Even if you see that they seem to wallow in sadness and defeat, let me kindly remind you that it is just a phase. The Capricorn is ruled by the planet Saturn, which heavily influences how this sign views responsibility. Not only are Capricorns highly competitive, they are also very reliable, solid, and mature. Another thing to note is that the Capricorn is an earth sign. Most Capricorns will give us the impression that they are a force to be reckoned with. What’s more is that they will prove it and watch the people around them be in awe while they are at it. That is not to say that they are proud creatures. On the contrary, really. Capricorns know how to share their abilities and lead without prejudice. One of the Capricorn personality traits is discipline and as far as pride goes, they know where they have to stop. This sign sees pride and understands it in a deeper manner than most signs. Yes, they can definitely intimidate you because of their authoritative vibe, but do not mistake that for pride. Capricorns simply know they have it all under control and they naturally exude this strong vibe without any intention to put others down. They do business not to feel better than others. They do business because it is what keeps them inspired and active. It is the official brand of their game. On the other hand, when it comes to personal ties, they are as reliable as they are with their career. They may seem a little detached, but to their loved ones who truly know them, they know just how much of a dear the Capricorn is. You might not see a Capricorn being touchy-feely with their loved ones, but that should not bother you if you belong to the lucky ones that they hold most dear. A Capricorn’s love and care go way beyond physicality. If this zodiac sign loves and values you, you will find yourself not wanting for more when it comes to both love and provision. In fact, you might even find yourself being gifted with things that you haven’t even thought of asking the Capricorn of. All the necessities will be taken care of that you would not even have the time to start worrying about supplies starting to run out. Responsibility is one of the most known ways the Capricorn expresses their love and care. Below is a list of some of the well-known Capricorn eminent personalities (famous people of this zodiac sign). So, without further ado, let me break down the personality traits of this zodiac sign, starting with the positive. Capricorns are fiercely loyal. This is a true personality trait that no one can deny. Many people around them may not think much of this factor, it might not even cross their minds. However, this is one trait that Capricorns truly value. They just do not go around telling or showing people how loyal they are to a certain loved one. This is because they have too much business to deal with and they simply do not have the luxury of time to even think of proving themselves to everyone. In cases where a Capricorn is a little too confident for their own good, showing loyalty in public is but a small game to them. If there is any need for a Capricorn to prove anything, they would rather that it be big enough to flat-out silence those who doubt them. Like I said, they mean business. Whether the situation is good or bad, the Capricorn will always approach it in a business-like manner. Another positive Capricorn personality trait is that they are caring. Just like loyalty, Capricorns would not bother showing this to the spectators. If they love and care for someone, they will make sure that it is known and felt, but always in private. This, for them, makes the feeling truly genuine and precious. Come to think of it, there is nothing more precious and genuine than exclusivity. And that is precisely how Capricorns keep their loved ones around them feeling secure. For a loved one, they might not notice this at first, but once the big picture starts showing itself in all its glory, they will find that the Capricorns emotional investment to them is simply priceless. Capricorns are also practical. I have already mentioned just how disciplined they are. With that, comes practicality, not only in their daily material lives but also in the choices they make. Capricorns stick to facts and reality, making their choices grounded and truly reliable. Wishful thinking is simply not in their vocabulary. You will very seldom catch a Capricorn in a hollow daze. Of course, that is not to say that Capricorns do not dream. They dream, they just like to keep it real. Dreaming is simply not one that dominates the Capricorn personality traits. They take a pause as well to think about the past and the future. Then again, this is an activity that a Capricorn considers to be very private. Only a handful of people are given the privilege to witness the Capricorn let their guard down. These lucky people who are given this chance often get surprised to see a Capricorn taking off all their armor and game face. What they see will reveal to them the loving and caring Capricorn that takes all the chaos of living and puts it all in order for the comfort of their loved ones. Then again, once they are done with the little break, the mask and armor come back on and they face life basing on the facts and the most viable things that can happen. While they have calculated all the possibilities, the Capricorn has this rare ability to classify all the possibilities and differentiate the ones that are realistic enough and the ones that are quite exaggerated. One can simply never have enough time to understand the beauty and complex detail of a Capricorn personality trait and especially their minds. This is a true Capricorn personality trait, in that you can never find a Capricorn without it. If there is a disciplinary degree for the zodiacs, the Capricorn is definitely the one to graduate with full colors. Discipline is so natural to them, like breathing to us humans – not that they are not humans. It is just their level of discipline is so perfect, it never wavers. Try observing a young Capricorn at school and you will see. Other children belonging to other signs will do just about anything to skip school. Not with a young Capricorn, though. You will be sure to find them present, even if they are sick. Unlike the other signs where admittedly their hearts seem to govern their minds, the Capricorn knows the exact science of separating the business of the mind and the heart. Thus making them good decision-makers. They practically have an emotional switch and knows the exact time when to flip it so as not to hinder their judgments. When I mentioned above that business is the name of a Capricorn’s game, I am saying it both figuratively and literally. One Capricorn personality trait that you have to watch out for is that they are very competitive. Some people who have a first-hand experience might even say they are cutthroat. And mind you, Capricorns do it with flair. If you want a reliable, competitive personnel or teammate, a Capricorn will never disappoint. One of the Capricorn personality traits that make them seem so serious, so intimidating is their pessimism. Of course, it can sometimes ruin the mood for a certain venture or project even before starting it. However, that experience is reserved only for the faint-hearted or ones that do not trust the Capricorn because they are more pessimistic than the Capricorn himself. To a Capricorn, pessimism is important. It is like cooking without fire to them. Their pessimism is what makes them successfully calculate just about every possibility that can come out of a situation. And of course, if the worsed is realized, you can be sure that while the other signs are busy picking up the pieces or whining, the Capricorn is already patching things up. You do not want to cross a Capricorn, ever. One often unknown trait is their unforgiving nature. If ever you manage to really cross a Capricorn, which is saying something considering they are awfully patient, then be prepared for burned bridges. Capricorns are not the type to declare war, nor do they have any inclinations to a bloodbath. However, they are very unforgiving and they are merciless at it. If they realize that you are messing with them and you have no qualms about doing so, you might as well find something that you can roast and eat afterward. This is to keep you fed so that your brain is in its best condition to solve the puzzle made up of a Capricorn who wouldn’t talk to you and a burning bridge in front of you. There is no turning back. I remember mentioning that a Capricorn is highly competitive, but I never specified just how high. In this case, let me grab the opportunity to do so – absolutely competitive. If there are 10 stars to rate it with 10 being the highest, I’d say 12 stars for the Capricorn. This frightening personality trait is natural. Capricorns do not learn it as they age. Instead, this trait intensifies as they grow older. While this trait is often good for a Capricorn’s loved ones as it means more security for them, this may also serve as a double-edged blade. Because while a Capricorn competes in a friendly manner regardless how intense the competition is, other signs just cannot wrap their heads around a friendly competition and end up taking offence instead. Ambitions and calculating, a Capricorn cannot survive with all those intense traits without control. And for a Capricorn, we are talking about a huge deal of control – one that can move a mountain. This Capricorn personality trait enables them to surpass many challenges by pre-calculating the details prior facing them. Also, a Capricorn does not like giving room to failures. Not if they can help it. And so, you can pretty much imagine the amount of control that they exert just to see things through their way. It is only understandable for a Capricorn to have high standards. It is true, some signs may just find it unrealistic and some might just get overwhelmed. However, to a Capricorn, this is something absolutely achievable. 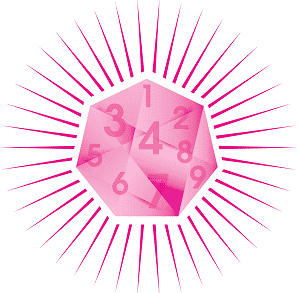 A Capricorn knows they can have it, because they are calculating, practical, disciplined, and controlling. With all of those traits combined, what can you not achieve? And while the other signs are busy judging their towering standards, the Capricorn is busy calculating down to the smallest detail on how they can make it happen. This is what often catches the other signs off-guard. They are simply too busy with something else, to realize that the Capricorn is already working on it, all the while ignoring their irrelevant opinions. Once the other signs are done with judging the Capricorn’s high standards, they will find the Capricorn already basking in the latest achievement they acquired. Like mentioned earlier, Capricorns are unforgiving. They do not show remorse for their decision, mainly because this does not involve their emotions when they decided to cut the relationship with the person who wronged them. This is for the Capricorns who already have much experience in life. They do not bother to care about the emotional things and just focus on the practical, realistic ones. However, for a younger Capricorn who is more inexperienced in life, they tend to bottle up their emotions. They, too, do not forgive – ever. They will not think about killing you for wronging them. You can expect they will not go berserk about it. You might not even hear anything about it from them. One thing is for sure, though. The emotional wound you gave them is buried deep in their hearts and they will never forget it. Nor will they ever forget you and how things went ugly. The good thing about this though is that Capricorns often know how to use this negative source of energy to convert it into something positive. They will use this to drive them to their success, well away from the one who wronged them. A Capricorn will not choose to play cheap. If they want revenge, they will take the high road and make sure that the one who wronged them have the best view from below. One Capricorn quirk is sarcasm. This is not because they intend to be sarcastic, they simply know the language and out it comes naturally from them. They sometimes do not realize it, but it still comes out. Unlike the Aquarius’ dripping sarcasm, a Capricorn’s sarcasm is a bit gentler. However, you can be sure that you will still get floored once it is thrown at you. This Capricorn personality trait stems from two things. Either they do not truly intend to be sarcastic. It is just that they know it, and they are good at it. It must be that sarcasm and quick wit grew a kind of blurred line in between or they are appalled. They can be appalled because of the person they are dealing with simply will not cooperate or do not get the magnificence of their detailed calculation. Which means, while control is possible, the person will prove to be quite erratic. Now, this sums up a Capricorn to you. Do not take it the wrong way. While Capricorns often belong to the type A personalities, it does not mean they do not care about their friends and families. They can switch off business mode, too. Only if they know they are well away from work and they needed to stay grounded and in sync with their families. 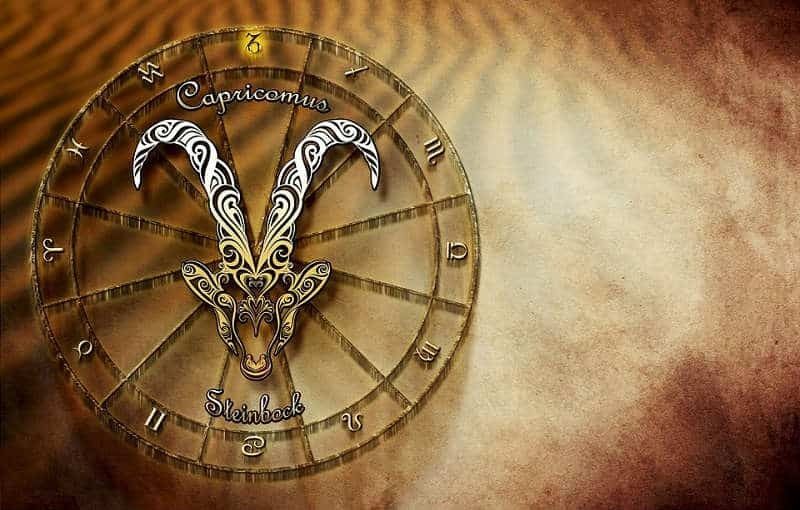 Do these traits sum up the Capricorns in your life, or the Capricorn Eminent Personalities listed above? Capricorn, also known as the sea-goat, is the 10th sign of the zodiac. This sign governs the people born between the 22nd of December and the 19th of January. See the Capricorn eminent personalities (famous people born in this period) and also the positive and negative Capricorn personality traits. I AM A CAPRICORN, SAGITTARIUS SIDE OF IT, I AM AMBITIOUS BUT NOT LIKE THAT, THEY MAKE IT SEEMS AS THOUGH ALL WE THINK ABOUT IS MONEY AND SUCCEEDING. I DON’T LIKE TO LOSE, BUT I AM VERY GRACIOUS, IT IS HARD FOR ME THOUGH.I HAVE A LOT OF PASSION AND I AM COMPASSIONATE. I am a true Capricorn. I believe in hard work and high standard. No room for stupidity. You got me right. I agree with some of these traits. But I can not see myself being controlling. I honestly don’t even care about being competitive. I think this is like 99 % me as a capricorn, i could not stop laugh at the accuracy.